The very heart of our business. 50 years of experience and the largest fleet of printing machines in the entire region at your disposal. We offer a wide range of services: design, graphic design, layout, image processing, copywriting, translation, XML architecture, XSL layouts, advertising sales, etc. Imprimerie Centrale acts as an advertising agency for a range of B2B and B2C publications. Our experts will assist you in developing your applications and help you to optimize your multiplatform document flow. 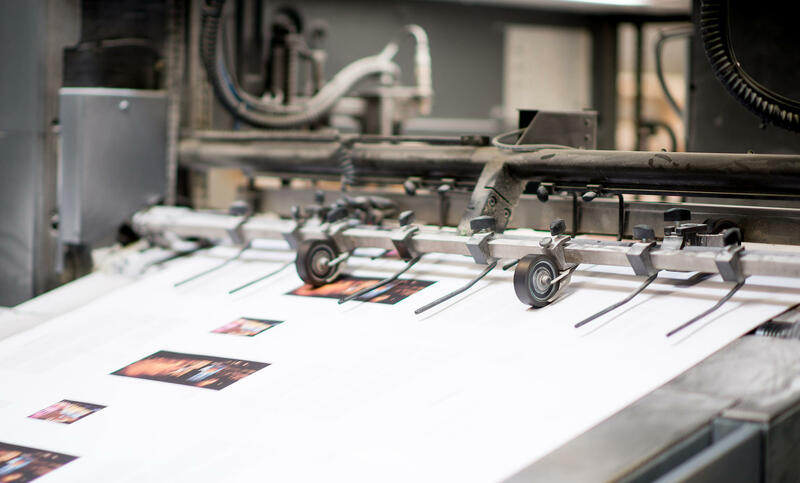 The flexibility of digital printing opens up a whole host of new possibilities: printing on demand, real time updates, customization, direct marketing, etc.